Affordable barcode creator application provides fast, easy and accurate data entry method which decreases the employee time required and increases organizations efficiency in most economical way. Best barcode label maker software facilitates users with print preview feature to preview barcode images before printing to avoid mistakes. Advance barcode generator utility provides option to save barcode images in various graphic formats such as jpeg, gif, tiff, bmp, png, wmf, emf, exif etc at specified location on computer system as per user choice. Barcode maker tool specifies the bar dimensions and other necessary features while creating barcode label. Barcode creator application is compatible with all major Linear and 2D barcode font standards such as Codabar, Planet, Postnet, Telepen, Aztec, MaxiCode, Logmars, Codabar etc. Best barcode label maker tool facilitates users to print multi-copies of same barcode label on a single paper. Barcode generator software effectively works on all major versions of Windows operating system including Windows 2000, 2003, NT, ME, XP, Vista and 7 respectively. 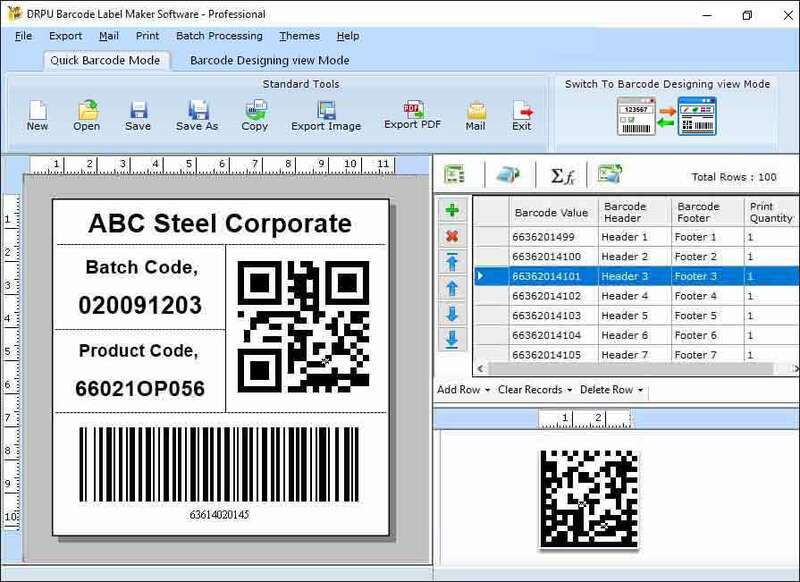 Barcode maker program provides user friendly GUI interface wizard which helps users to easily understand the functionality of software by using inbuilt user manual guide. Barcode generator utility provides facility to import barcode list saved in text file format at specified location on computer system. Features: * Advanced barcode creator software design barcode labels using different designing objects such as Text, Line, Pencil, Picture, Ellipse and Rectangle. * Barcode labeling application easily creates scan able and printable barcode labels. * Best barcode generator program easily handled by all level of users without acquiring any special technical skills. * Barcode maker utility creates colorful barcodes of any shape or size.